A man molded, but not confined by his initial circumstances. A man confident in his abilities, with the accomplishments and background to teach a course on strategy at any Ivy League institution. A man still learning and growing. I sat down with Hip Hop legend, business mogul, and boxing manager to some of the greats, J Prince. Founder and CEO of the Houston-based, legendary Rap-a-Lot Records—one of the first southern indie hip hop music labels to really blaze the trail for others like No Limit and Cash Money Records. Known for grooming some of gangster rap and southern rap greats, such as, The Geto Boys, Bun B and Pimp C of UGK, Z-Ro, Big Mike, and others. As well as, one of Drake’s longtime mentors. We talked about his memoir, The Art and Science of Respect, how he deals with failure and trauma, how he created the Geto Boys, and what separates him from the pack. 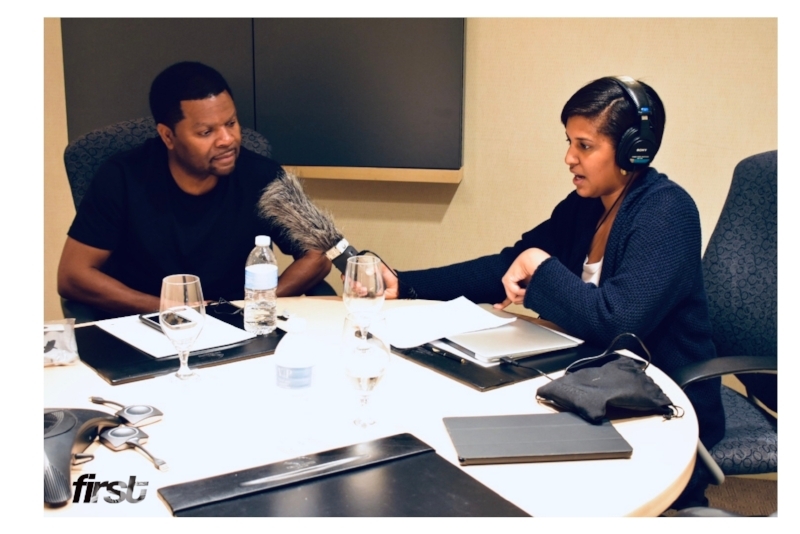 First Year Project’s full interview with J Prince lightly edited for content and clarity. First Year Project: You actually started writing this book with Jasmine Waters in 2014. Now what was that process like, and four years later what is it like now? 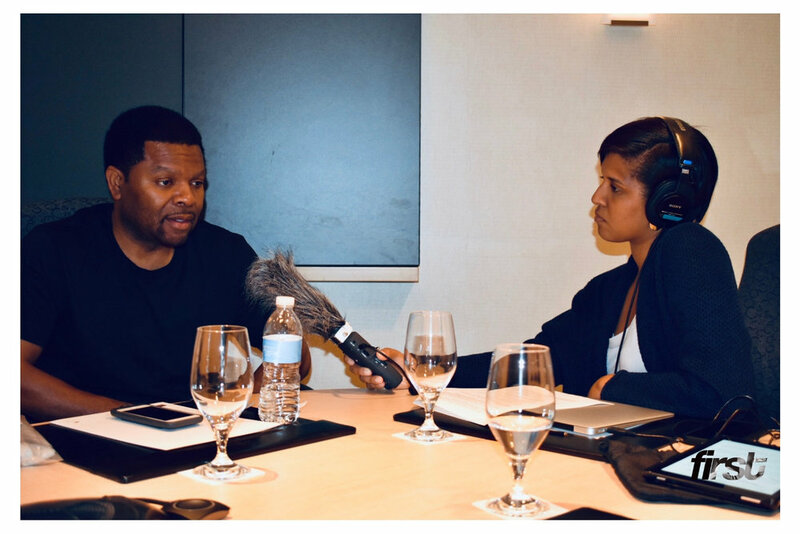 J Prince: Well, four years ago it was planting the seeds and right now I’m reaping the fruit of my labor, but along the journey, you know, I had to really go to some places I hadn’t traveled in a while. It was interesting—you know, some of them were happy moments, some of them were sad moments, but we go through them. As I was reading through the book, there were some excerpts that popped out to me and resonated with me personally. And one excerpt that I found interesting that you shared is, My family has gone to war with me and for me, and that is an amazing feeling. Now that’s a very interesting family dynamic but also a very authentic take on what a lot of people go through with their own families. What exactly do you mean by a family that goes to war with me and for me, and can you talk a bit about the importance of family to you? Yea, that would begin in my early days. You know, I had family that would literally fight with me. Growing up in 5th Ward, walking to school, I found myself getting into a lot of fights. It was just one of those things you had to figure out how to do to survive in the hood. And as I was thinking about the support I had, as my family is concerned, I thought about moments like that. I thought about the preparation of the wisdom and different things that was shared with me to be able to fight in life. So, you know, when you go to those places and think about all those things, you’re thankful, you’re grateful for a supportive family—and family means everything to me. It’s the reason I even wanted to be successful. It was because of my mother, it was because of the poverty curses on my family for decades. I vowed as a kid, “I’m going to be the one to break this curse of poverty.” All of that began with family. ﻿I think that’s so powerful for many reasons. In terms of First Year Project, it’s a huge piece that we touch on. Can you talk more about how you dealt with failure or not necessarily having the resources needed to create the life you wanted? I guess I come from a place where people would use situations such as where I come from as a handicap. I didn’t have this, or I wasn’t raised here, or this and that. Okay, that could be the case for some, but for me it was a motivating factor, a stimulating factor, where I said to myself, “Okay, even though this has taken place in my life, I reached and grabbed scripture, I can do all things through Christ who strengthens me. I reached and grabbed different situations to inspire and stimulate my mind, to conquer all the obstacles that were against me. How has how you deal with failures or challenges changed over the years? You know, I view failure, and all of those situations, almost like the weather—and, I think I mention in my book, you’re either in a storm, just got out of a storm, or you’re on your way to a storm. So [instead of] looking at a failure situation as the word failure, it’s a storm. And then I view it as, if it don’t rain, the grass won’t grow. So I shift my whole mentality of wallowing in failures or shortcomings as a fertile situation that’s going to prepare me moving forward. So money was important to you, even as a young child. Before hustling on the streets, before the used car dealership, and Rap-A-Lot Records, and all of your other accomplishments, you were a child who quickly understood that money equals POWER but also how, more importantly, money represents OPTIONS. There are a lot more people who understand the first, and don’t necessarily make the connection to the second. So how have your views about money changed over the years? Well I think they’ve changed in a variety of ways, because I have gotten wiser. I tell everybody, I don’t love money, but I like it so much that it’s hard to tell the difference. But, I think the tools are still similar, I’ve just learned how to diversify the use of it. But when I go back and think about the things that even inspired me to want the money, it came from situations of witnessing pain, witnessing lights get cut off, family members crying because they didn’t have, and all of that had a major impact on me. Like, Okay, having the dollar makes a difference, and I wanted it because of those reasons. You make one of the most important decisions of your life, sitting on the floor of your closet with your son on your lap. You were making a major transition from staying off the streets to pouring everything into the label, which you established to keep your younger brother, Sir Rap-A-Lot, off the streets. At that point in time, that was seen as some steps back. How did you navigate the process of understanding right now it seems like I’m taking some steps back, whether that be less money, going from a 5 bedroom house to a 1 bedroom apartment, giving up all your luxuries, to eventually take WAY more steps forward? How do you continue to have that foresight of I have to do this now so that I can flourish later? You do that by separating a moment from a movement. I understood the fruits of the moment versus the fruits from a movement. A moment is a short term reward, and the movement is a longevity reward. When I put both situations on the scale, the movement outweighed the moment substantially. It wasn’t hard to make the decision after that. Were those first couple of years really tough though? Oh yeah. More than the first couple of years, the first seven. In my mind I had a shorter term of reward. But I tell everybody in the entertainment industry, it’s an industry that will test you and it will run the weak off. So I learned that the hard way, and seven years later I was rewarded beyond my expectations. Your brother, Sir Rap A lot, was actually in the original version of the Ghetto Boys. Now things weren’t actually working out with the initial versions of the group, and you had to make changes. Eventually one of those changes included taking your brother off of the label. How did you approach decisions like that, and how has your approach changed over the years? I think my approach is pretty much the same. That decision was one of the core decisions that I made as an entrepreneur. My thing back then, and my thing now is, business is one thing, personal is another. Just because someone is blood related or kin to you don’t qualify them to be qualified for a business position. And I had to make that decision where my brother was concerned, because my brother was actually up against the Scarface decision. So you find new members. Scarface being one of them, who was originally DJ Akshen. Finding someone like Scarface is very unique. Even finding Willie D and Bushwick, they were all incredibly talented artists. What’s your approach to finding talent? Well back then, I didn’t have access to social media, so my social media was keeping my ears to the street. Where like a Bushwick, Scarface, and Willie D was concerned, I researched the hood and the streets of Houston, everywhere, because I understood that I wanted 3 different personalities. I brought together 3 guys that didn’t know one another, 3 totally different personalities of the images that I was trying to build where the Geto Boys was concerned. And after research through clubs, that’s where I met Scarface; Willie D at the barbershop, referred to me by my barber; and Bushwick in the club one night just watching him perform. I decided to bring these guys together, and they embraced my vision. The rest was history. Can you talk more about the name change from Ghetto Boys to the Geto Boys? That was important because the g-h-e-t-t-o is a name that I couldn’t own. The g-e-t-o, I mean I could own that. I believe in ownership. I believe in being able to own content and you name it. So that was important to me at the time. What exactly made a 9 year old J Prince take a experience usually linked to trauma, like driving to the penitentiary to visit your uncle, and look at it for the potential opportunities? Well at the time I didn’t know I was doing that. At the time, that was like a vacation for me, because I never had an opportunity to get out of the hood much. And I’m in the back seat happy, and all I could see was land. That became special, because even at 9 years old I used to like to hunt, I used to like to fish. So as I observed that land I started dreaming, like, “I want land like this one day.” That sounded strange to my grandma at the time, but I was back there dreaming. Are you just wired that way or has it been a skill you’ve learned along the way? I think I’m definitely wired. I think it’s a genetic thing as well, because after really having an opportunity to observe my genetics and those who came before me, a lot of them were entrepreneurs. I believe that everything comes from somewhere. Sometimes I wonder if this ability to power through, no matter what, can sometimes be a gift and a curse in terms of fully healing from traumatic experiences. Do you ever feel like the approach of just powering through can hinder someone from ever healing fully from traumatic experiences? Good question. I think that’s a possibility. I think that can definitely go left or right. But where I’m concerned, it’s healing for me to keep moving forward and to keep striving to the next goal. So, it works for me. My very last question. You have amazing photos in this book. One in particular with your red Mercedes Benz that you note buying from Terry Carter in the late 1980s. You have here noted in the book that, “Suge Knight is on trial now accused of running Terry over and killing him on the set of the movie Straight Outta Compton in 2015. First of all, that’s just a wild connection to have! And then secondly, for a very long time a lot of people, and a lot of media outlets, often put you and Suge in the same category. But, he has a very different ending than you do. Even in terms of Black higher executives with indie labels, there was very much a core group of a certain type of men, but you are also very different. Outside of the most obvious differences between you two, what do you think has made the major difference? Well, you dealing with a moment and a movement. Sometimes in life, it’s easy to get caught up in moments. And when you get caught up in moments, it can cost you—your freedom, it can cost you your life, it can cost you your business. I’m always about a movement. I try to analyze and calculate every situation as being tied into a movement. And when you do that, you value your freedom, you value your life a little more. That’s the difference.